Today, the two most popular leagues are MLB and NCAA college baseball. Games from both leagues are regularly aired on television and command large audiences. These two leagues alone are able to generate a ton of action. Speaking of opportunities, baseball sportsbooks provide many opportunities for turning a profit. One of the advantages to betting on baseball is that bookmakers do not put as much effort into analyzing each game. As a result, sports bettors are able to find advantageous lines much more often than fans of other sports. The popularity of online baseball betting in so many different countries means that you’ll never suffer from a lack of sites that want you as a customer. Choosing which places to wager at requires a little work, though, because not all online betting sites are of the same quality. And when it comes to playing for real money, it is important to stick with the highest-quality wagering websites. We have developed a standard methodology for picking and ranking baseball betting sites. The most important thing to look for in any bookmaker is a history of paying all customers and treating customers fairly. To us, this is most important. The overall quality of all baseball gambling sites can be determined by visiting the site, checking out the promotions, and reading about the bookmaker’s history on the internet. When a comprehensive approach is taken to choosing where to signup at, the list can be narrowed down rather quickly. What we end up with is a list of a few trusted sources. When choosing where to bet on baseball, our recommendation is to stick with the top rated brands on this page. We used the above factors plus our own experience to pick these establishments. There are many places to consider, but these companies have proven themselves to be the best over time. The next step in getting started is to make a deposit and fund your account. A variety of deposit methods can be used to accomplish this. The most popular payment option is the trusty credit card or debit card. Making a deposit with a credit card requires nothing more than for you to fill out your information and hit the submit button. At most sports betting websites, your account will be credited instantly. There are also other options that can be used such as Neteller, Click2Pay and Moneybookers. These services all act as digital wallets where you can move money to and from different betting sites. With an account at any of the above e-wallets, you will find it easy to move your money back and forth online. Some people like to use-wallets because a single e-wallet account can be used to deposit to and withdraw from many different betting sites. 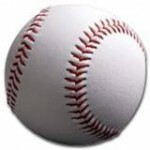 Direct bank deposits and e-checks can be used for even greater simplicity at some baseball betting websites. The basic idea here is that you can fill out your banking information and then tell the betting site how much money you wish to deposit. The funds are then moved straight from your bank account to your betting account with no middle man. If you do well, you will also be able to cash your winnings out using these same methods. The two best methods for withdrawing from online sportsbooks are e-wallets and direct bank transfers. Both options are fast, cheap and effective. You won’t have to wait around for long to get the money credited back into your bank account when you cash out. Major League Baseball represents the highest level of professional play. This is the league where the biggest names play and that receives the most attention from the media. It’s also the league where you’ll find the most options. If you’re a fan of the MLB, you won’t have any problems finding betting websites that cater to your needs. With 30 teams in the MLB each playing 162 games per season, there are nearly 2500 games to wager on every season. The sheer number of MLB betting options lead to there being many profitable bets every year. MLB betting sites simply cannot afford to set the lines perfectly for every single game each season. Major League postseason games tend to attract even more gambling action than usual due to the high profile nature of these important games. The World Series, the season’s biggest event, is also a major magnet for sports betting action. You can usually expect to see baseball-related promotions as the World Series draws near each year. College baseball betting is also available at most sites, although the options can be somewhat limited. With more than 280 NCAA Division 1 teams competing every season, there are simply too many college baseball games for bookmakers to keep up with them all. As a result, gambling sites tend to only offer wagers on high profile college games. The College World Series is the biggest game of the year and also naturally attracts attention from sports fans. This game doesn’t get nearly the same amount of attention as the MLB’s World Series, but it is still a significant event in baseball. There are too many international baseball leagues to list here, but they exist all over the world. The sport has shown tremendous growth over the years and will likely continue to grow in the future. International leagues still have a long ways to go, but most sites offer betting on international baseball matchups to some degree. You will find the most options at large, international bookies such as those listed at the top of this page. These brands try to cater to as wide an audience as possible so they excel about posting lines for international games. US-facing sportsbooks tend to focus primarily on the MLB and college baseball. Baseball consists of a mixture of common and unique types of wagers. The following paragraphs will provide a brief overview of the most common types of baseball bets. Moneyline wagers are used at sports betting sites when bettors want to place a straight up bet on one team to win an upcoming game. The payout odds for each team are adjusted so that both sides of the bet look attractive to bettors. For example, an uneven matchup will provide lower payouts for the dominant team and much higher payouts for the underdog. Run line wagers stipulate that the favored team must win by a certain number of points for bets on that team to be considered winners. For example, if the Colorado Rockies are listed at -1.5, it means the Rockies effectively start the game down by 1.5 runs. In this example, the Rockies must win by at least 2 runs for wagers on the Rockies to be considered winners. With totals, the sportsbook comes up with a total number of runs and then lets you predict on whether the actual combined score of both teams will be over that total or under that total. You do not need to pick a team when wagering on totals. The only thing that is asked of you is to predict whether the total number of runs scored in the game is more than or less than the stated total. Prop bets are wagers that don’t easily fit into any other category. For example, baseball bookies might offer props such as which team will score first, how many home runs there will be or whether or not there will be a rain delay. Props are generally regarded as “fun” wagers, but knowledgeable bettors can find profitable opportunities with propositions.